Not all houses are created with the same dimensions. Some may have big spaces, some have small ones. Each house is different depending on the home owners’ needs and personalities. Decorating a house varies according to the status of the people living in it; decorating for a family house differs to a place rented by a single person. Location also is a key factor in interior decorating. A country house usually has more floor space than a dormitory room, thus requiring different decorating styles. If you’re a home owner or a decorator, there will be a time when you’ll need custom made mirrors to help you accent a living space. Custom sized mirrors will fit perfectly to a specific space in a home or office, and will suit the owner’s style and taste. Easily re-create an antique mirrors by having it custom-made. 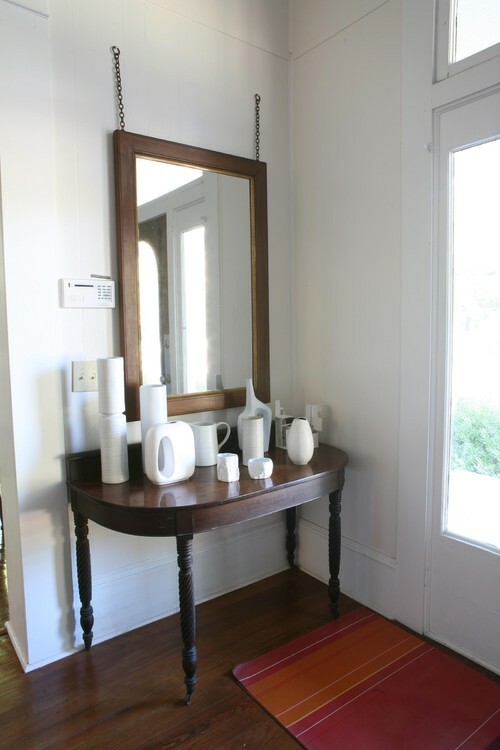 Hang a big mirror with a beautiful frame in the entryway. You can ask your supplier to change the color of the frame, depending on the color scheme you are using in your home. Make a small closet feel expansive with full length mirrors. The mirrors make the closet feel airy and light as it reflects the natural sunlight and pin lights. They also give you the illusion of owning more clothes. 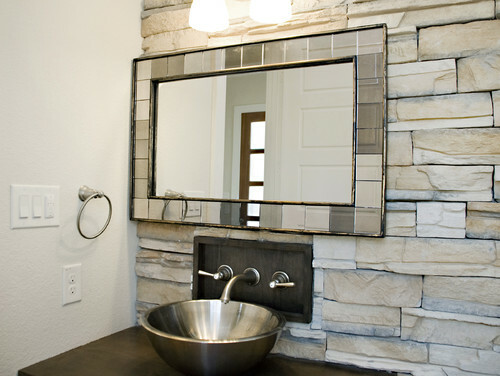 A mirror is a key element in any bathroom. Having a custom sized mirror can be a great accent and you can choose from different materials for the frame: wood, metal, or beveled mirror tiles. Put a huge leaning mirror in the living room to create drama. A large mirror with an interesting frame can be a great conversation piece when guests come over your house. There are small spaces in a house which remain empty or unused such as a staircase landing or an odd corner. Create a functional spot in this corner by hanging a framed mirror. Add a small table and some interesting items to complete the look. 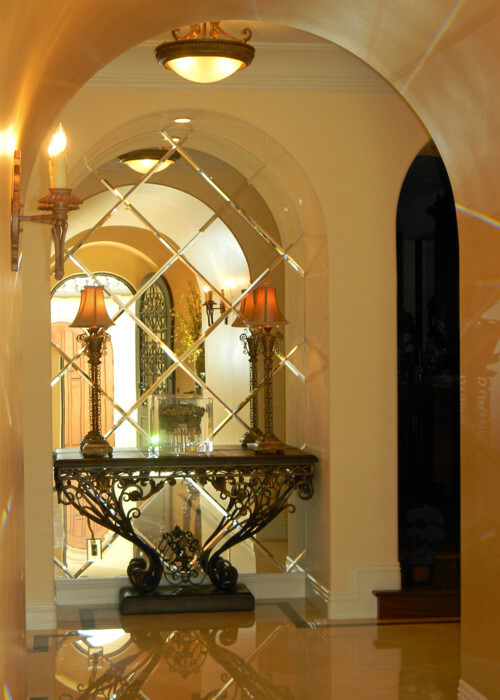 This barrel vault entry used diamond-shaped beveled mirror tiles. The shape of the entryway is not symmetrical in shape, it’s like a rectangle with a curve or an arch at one end. Putting a generic-sized large mirror in this space will give the design a look which is incomplete and not well-thought of. 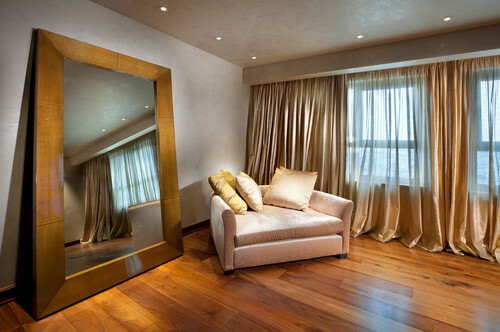 Having custom-made mirror tiles give the space an elegant and polished look. If you have an old armoire or cabinet that you want to have an updated and modern look, try putting customized mirrors on the cabinet doors and drawers. 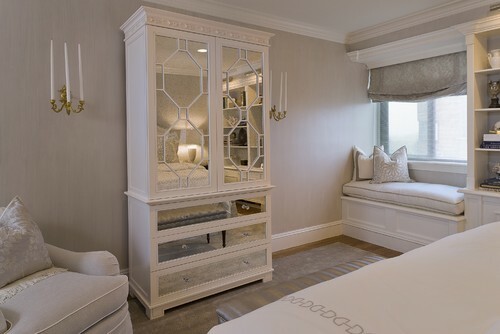 Mirrors instantly brighten up the armoire and give it an elegant look. 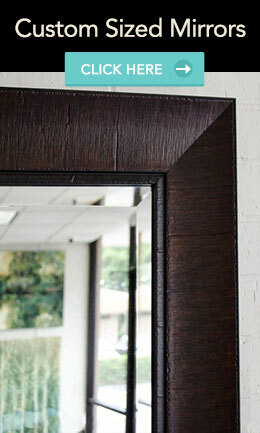 MirrorLot offers custom made mirrors in a wide array of frames. The company can manufacture mirrors according to your specific dimensions and requirements.